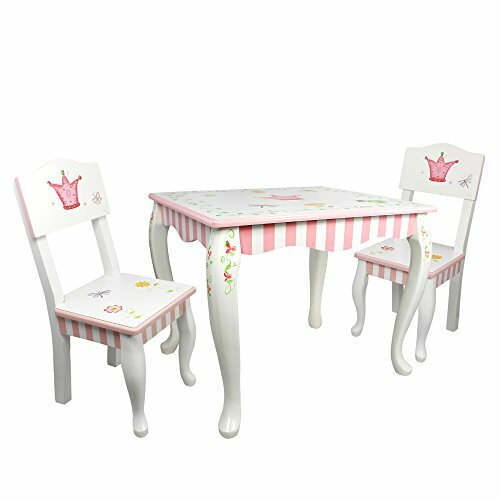 Fairy tales become a reality with Fantasy Fields beautifully constructed Princess and Frog Table and Chair Set. This table is the perfect place for your little one and a friend to sit and read stories, do arts and crafts, or have a snack. Set features two hand painted, hand carved chairs with crowns painted on the headboards, and a sturdy table with swivel legs to support any amount of fun. Some assembly required. Perfect for ages 3 and up.